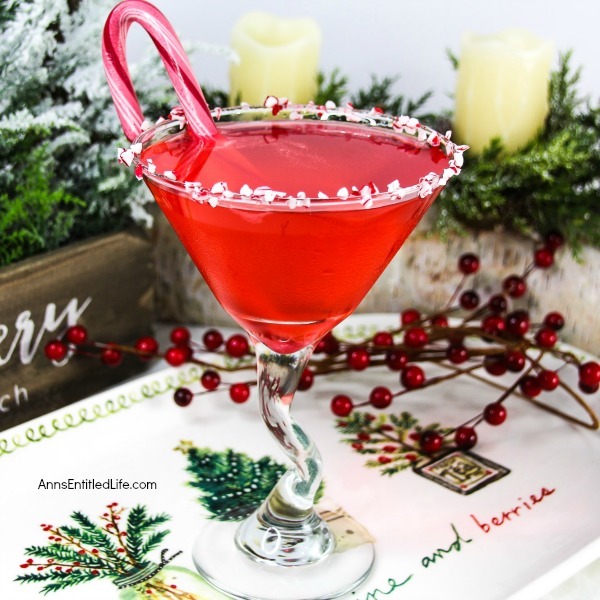 The Candy Cane Cocktail is refreshing adult beverage made with Whipped Cream Vodka, Peppermint Schnapps and Crème de Cacao. 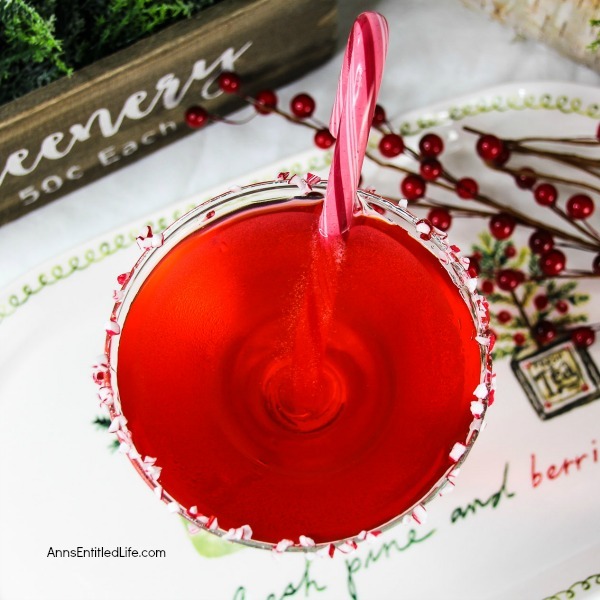 A cool, refreshing and festive holiday cocktail drink recipe. • Rim a cocktail glass using the whipped cream Vodka for the wet, and red and white decorator sugar for the dry. • Add enough ice to a cocktail shaker to fill it halfway. • Add the Vodka, Crème de Cacao, Peppermint Schnapps and Maraschino Cherry Syrup to your cocktail shaker; shake well. 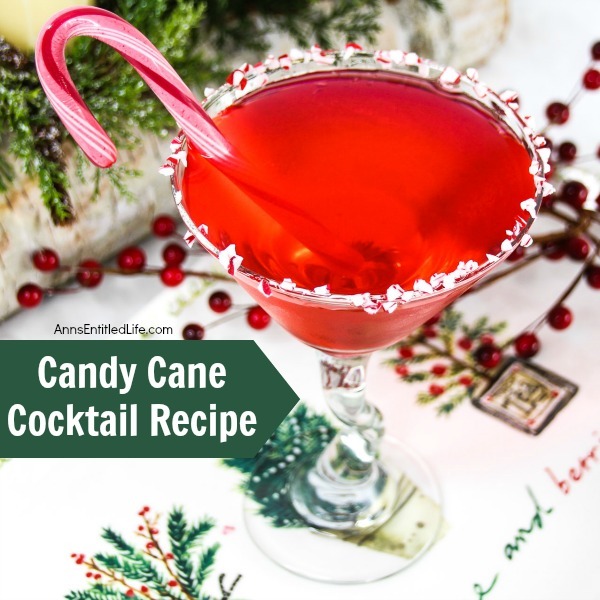 • Allow the candy cane cocktail to sit in the cocktail shaker for at least a minute. You want this drink to be cold. • Shake again a few times to combine. • Strain into your rimmed cocktail glass. • Garnish with a peppermint stick. This is the same cocktail as in the photo above. I just snapped the photos from different angles, and with and without candy canes. Amazing what lighting can do! Hubby was a really good sport in the making of this drink. You have no idea how many different combinations I tried; the cranberry juice tasted (and smelled) like medicine, he was unhappy with the grenadine… honestly we both liked this best without the red coloring (he suggested food dye at one point!) from the maraschino cherry syrup. But, I insisted this must be red, so when he suggested the maraschino cherry syrup, I was all for it after many, many failures. And I was thrilled when it was the missing piece! 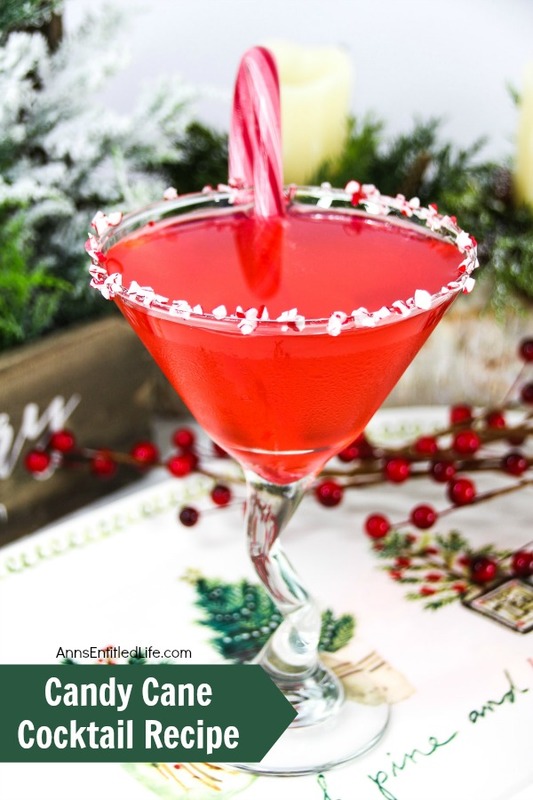 If you are not married to the idea of a red candy cane cocktail, try it with just the three liquors… it is really good too! 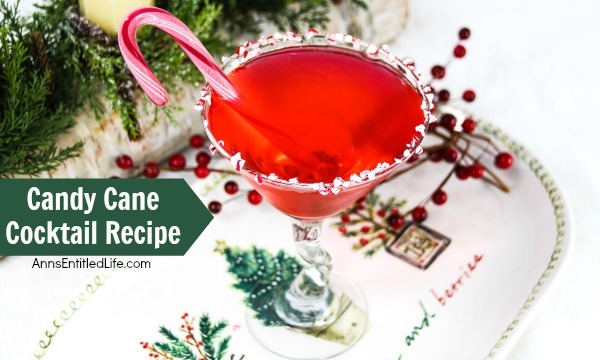 • To print the Candy Cane Cocktail recipe, click here.